Anyone that has hens has experienced the shock of walking out to the chicken coop to collect eggs only to find just 2 or 3 eggs or maybe even no eggs! Now, if you are just keeping a few hens in your backyard for the fun of it, it is probably no big deal. But, if you are raising your girls to keep you and your neighbors in eggs, it is probably a very big deal! Unfortunately, there are times when your girls just are not going to cooperate and give you the amount of eggs you may be counting on. There are a number of reasons for this and we will discuss some of those reasons. 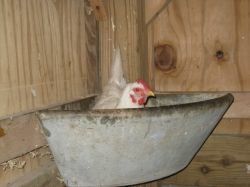 You can find a huge array a chicken feeders, chicken nesting boxes and chicken care books at Amazon.com. And best of all, you can discounted prices on the items you need to care for your chickens. As I said earlier, egg production in poultry varies from day to day. Some days when you go out to collect eggs, you need more than one basket. On other days, you may not even need a basket because there are none to be found. You may be asking "Why are there no eggs?!" Unfortunately, there are a lot of factors that will affect the number of eggs that are laid on a given day. A chicken flock that appears to be happily scratching around in your backyard or in their chicken run is probably doing great. As long as your hens are active and are eating and drinking normally, they are probably producing the amount of eggs that they are supposed to. So, as long as your flock is healthy and there don't seem to be any obvious problems going on, there is not much that you can do to control how many eggs you will get on any given day. However, if you notice that any of your hens are listless, sitting in the chicken coop for no good reason or are not eating or drinking, there is a problem. I would strongly recommend that you take any hens that do not look right or are not acting normal, to the veterinarian to have them checked out. At the very least, separate any affected hens from the rest of the flock until you can determine what the problem is. Click here for more information on why has my hen stopped laying. What Things Can Result In Fewer Eggs? So, you have observed your ladies and they all look just fine. Everone is happily eating, drinking and scratching around in their area. Even if your hens are healthy, there are still several things that can affect the quantity of eggs that are being produced. First thing to consider is what type of chickens do you have? Some have been bred to produce more eggs than others. If your picked your hens randomly out of some book or a friend gave them to you, that may be the problem. Some breeds of chickens lay a lot of eggs and some don't lay quite as many. So if you want a high egg production, then you need to carefully choose the breeds of chickens that you buy. Some chickens are just better egg layers, some do better as free range chickens and some are better for meat. Do your research carefully so you end up with what you want. While I'm sure you will love your chickens no matter what, it can be a huge let down if your chickens don't perform the way you expect them to. How old are your girls? It's a fact that the younger your chicken is, the more eggs she will produce and the older the hen is, the less eggs she will produce. If you want more eggs, then you need to keep a young flock of hens. You will need to plan to either buy or raise a new batch of young hens (like the young pullet pictured) to add to your flock every single year. This will lead to a larger and larger flock so some people chose to cull the older birds as needed. During the cold winter months and the sweltering heat of the summer, egg laying is always affected. During the hot summer, there really isn't much you can do about the number of eggs you get. I live in Kentucky and my 14 hens laid anywhere from 5 -8 eggs every day until about the first week of August when that number will drop drastically to only 1-3 eggs every day. Some days I won't find any which is normal until it cools off late in the fall. But, during the winter months, you can put a heat lamp in the chicken coop to keep your chickens warmer. While you will tend to see fewer eggs, but you can keep it from stopping altogether if you want by doing this. I don't know how healthy it is for your chickens but it will work. I usually allow my hens to take a break. It is a fact that disease and parasites will impact egg production. Your hens will show signs of distress if they don't feel well. 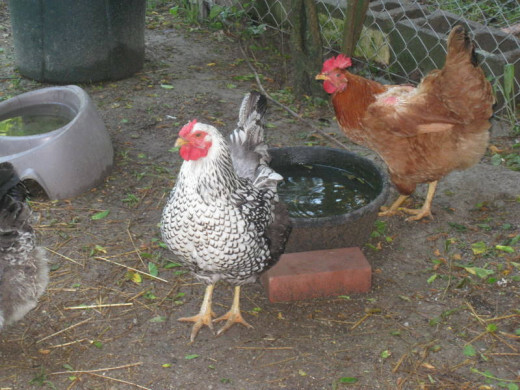 To find out how to chicken parasites and health problems, click the links to find out more. 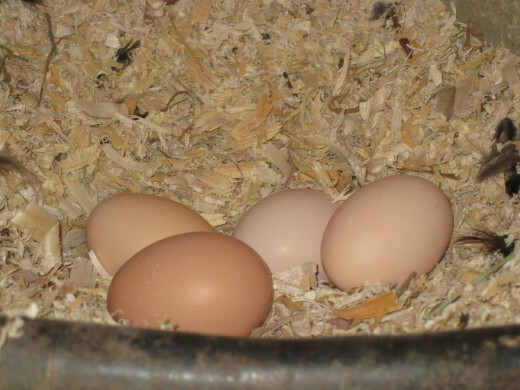 What you feed your hens can also affect their egg laying ability. When you get your chicks, make sure that you start them off on a high quality chicken growing feed until they are about 4 months old. 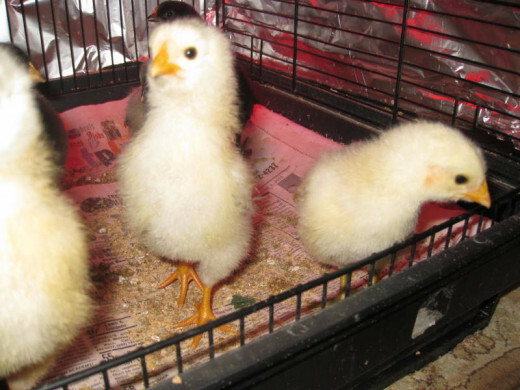 This will ensure that they get the proper nutrition that they will need to become egg producing adults. About the time your chicks are 4 months old, you need to start giving them a calcium supplement so that they can properly produce egg shells. Oyster shells are a great source of calcium and are sold at most any place that you can buy chicken feed. Just put them out in a container free choice and they will eat what they need. When your chicks are about 5 - 6 months old, take them off of their growing feed and put them on a quality hen laying feed. Keep supplying them with oyster shells as well. Most chickens love vegetables, fruit and peelings. I usually save the rinds from watermelons and cantelopes and throw them out for the girls. They love them!! They also love just about any vegetables and it is hilarious to watch them run off with cherry tomatoes! Egg production in poultry will be what it will be as long as your hens are healthy and happy. There really isn't a lot you can do to impact the weather in your area and not everyone is willing to cull older hens from their flock to make room for new younger pullets. So you have to decide how many eggs you want or need every day and then decide what steps you are willing to take to achieve the egg production you want or need. This summer was very hot in Kentucky which is where I live. It was so hot that I was having trouble keeping enough water out for them so in addition to their waterers, I put out several shallow rubber maid horse feed bins to give them extra water. 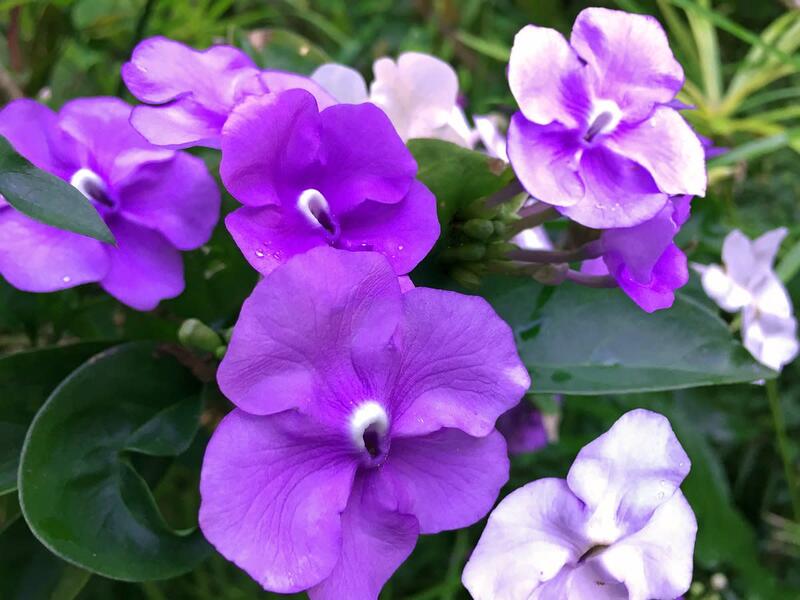 I placed them around the yard in the shade so they would have water wherever they happened to be. My chickens were very stressed and I actually caught several of them standing and laying in a low water dish that I put out for them. I couldn't believe it the first time I saw them standing and laying in the shallow watering pans. I guess they are smart enough to stay cool however they can. Egg production stayed fairly consistent until the last week in July when it screeched to a halt. I was actually surprised that my hens continued to lay for so long given how hot it was. There was no relief for them anywhere they went. It was so bad that I was actually surprised when I found an egg! Things didn't improve until the first week in September when cooler temperatures arrived and the hens started laying again. Even my pullets weare starting to lay which was a surprise because the last batch was hatched kind of late and I didn't expect to get any eggs out of them this year. The pullet eggs are very easy to identify because they are so much smaller than the other eggs. Do You Have Chicken Keeping Questions? 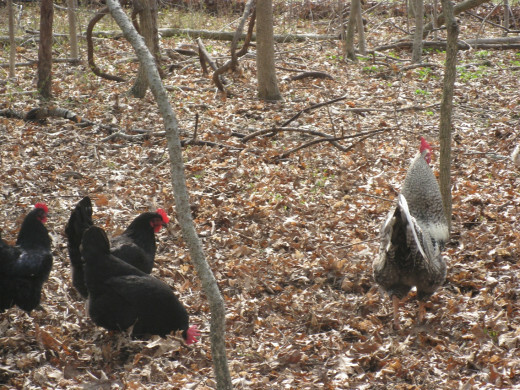 Keeping chickens in your backyard is a great way to have fresh eggs around all the time. If you are really brave, you can also have fresh meat for you and your family. - Can I break even keeping a flock of chickens? - How old do my pullets have to be before they start laying eggs? - Which chicken breeds are best for producing the most eggs? - Which chicken breeds have the best meat? I have had a flock of chickens in my backyard for years and I never really stopped to think that I could get sick from them. That is exactly what has happened to a lot of unfortunate people when they bought chicks for their backyard chicken flocks. Remember to use good hygiene practices when handling your flock. Always wash your hands after handling your chickens or anything that you use for your chickens. I always follow up with hand sanitizer just to be safe. 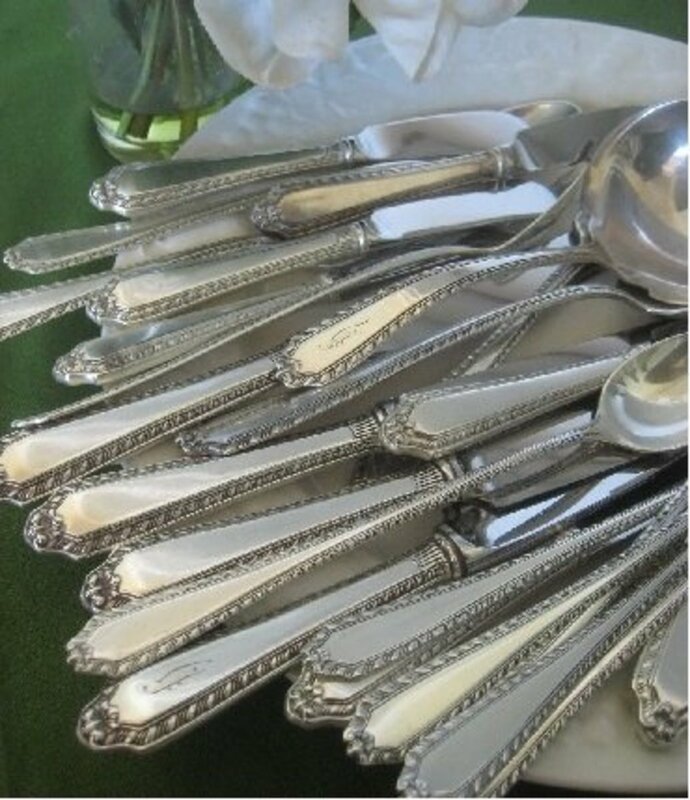 Salmonella is nothing to fool around with and it is very important that you watch your guests and have them follow the same hand washing rules as well. How high / tall does the fence need to be to keep my chickens in my yard? The answer to that question really depends on the breed of chickens you have. Some breeds fly better than others and some breeds (like Junglefowl) just really refuse to be contained. But other breeds (like Silkies) can easily be contained with a very low two foot fence. Generally speaking, a four foot tall fence should work in most cases, especially if you are keeping some of the heavier chicken breeds in your backyard. Keep in mind that there is always a rule breaker in every flock and sometimes the only way to contain that chicken is to lock them up which isn’t always practical. I have a mix of large breed chickens and most of them stay put behind my four foot fence. However, I have one Rhode Island Red hen that can nimbly scale any fence she decides she wants to get over. She regularly roosts on top of the chicken coop. You can also try clipping your chicken’s wings but that is a real pain since it has to be done whenever your birds molt. I don’t know about you, but I don’t like trying to capture them and clip them, even at night. But a light bird is still going to be able to get where they want to go regardless so you are probably just wasting your time doing this. You can also reduce the chance that your chickens will fly out by not making the top of your fences look great to perch on. Chickens naturally want to perch up high and a wooden fence makes a nice comfy perch for your entire flock.